Round shovel with handle 89 cm poignie steel. Perfect for digging. The Fiskars stand-up weeder makes it easy to permanently remove invasive plants without sore knees from kneeling, back ache from bending or harsh, costly chemical herbicides that need to be applied multiple times. Just place the head over a weed, step down on the foot platform, and the three serrated, stainless-steel claws will grab the weed by the root for clean removal. An easy-eject mechanism on the handle clears the head between uses for quick and easy cleanup. As a bonus, a large D-handle provides a secure grip and improved control when you're driving the claws into tough soil. Our Power Tooth<sup></sup> Softgrip<sup></sup> D-handle Saw is ideal for big jobs. A razor-sharp, triple-ground Power Tooth<sup></sup> blade cuts wood on the pull and push stroke to help you cut through large branches with speed and efficiency, and the fully hardened steel blade stays sharp longer than others. You can even flip the saw for easy, controlled undercuts. The D-handle design with Softgrip<sup></sup> provides excellent comfort and control. The NEOPERL PCA spray 0.5gpm pressure compensating provides a constant non-aerated shower like stream, and helps gain LEED points towards building certification. The anti-clogging white dome screen filters sediment and particles. 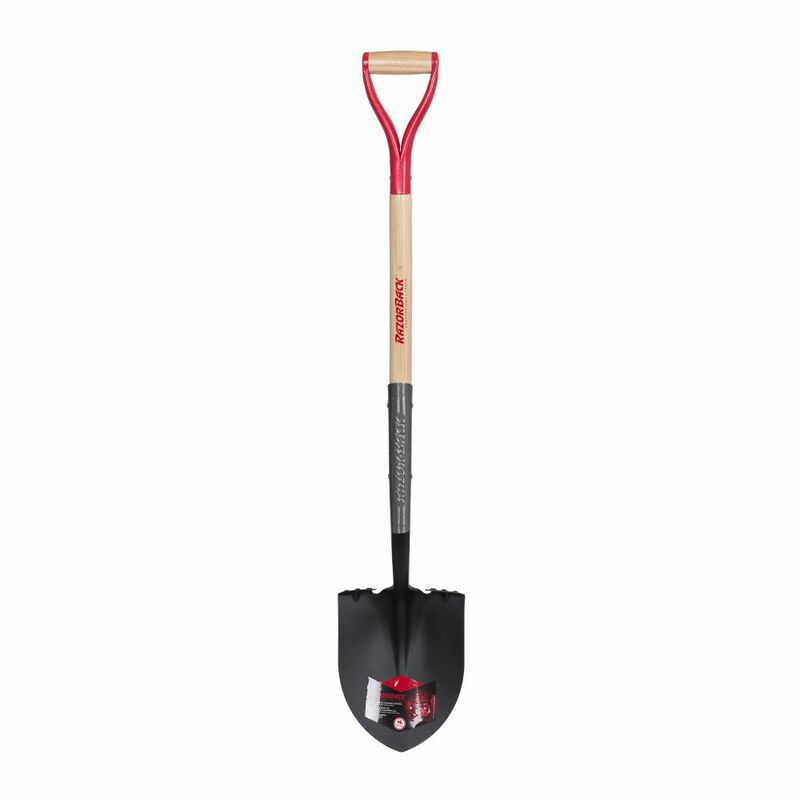 Razorback 35 Inches Handle Round Point Shovel with Wood Handle Round shovel with handle 89 cm poignie steel. Perfect for digging.